Description: I'm on the left. 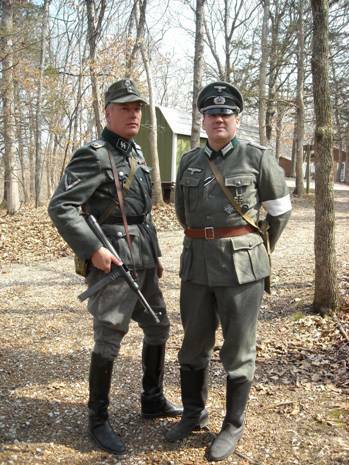 My Kamerad borrowed my Heer uniform for the weekend. The Railsplitters put on another great event, this time a tactical.